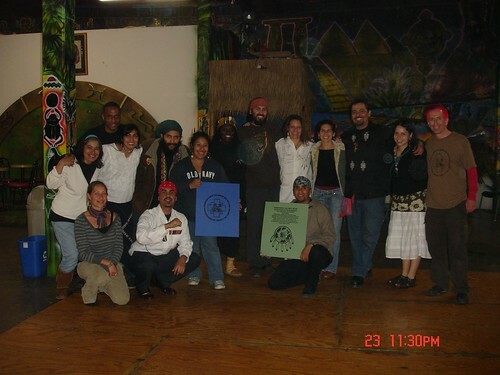 The event on Friday at the WorldBeat Center was amazing. It was so good to see so many people. It was the first time we have gathered since the run visited San Diego about 6 months ago. It was great seeing faces that I hadn’t seen since the run. I got a chance to connect with some important people I was hoping I would see and also made some new connections. I was able to put together a 13 min video with footage from the run. If possible I will post it on here. Our good friend Emoat finally made it back home and even Jose M. was able to visit us all the way from Arizona. We were blessed to have 3 of the sacred staffs present and it went perfect for the alter that Gabby created. We had wonderful vegan food that we all cooked and there was plenty for everyone. It was amazing to see what we were able to create with very little resources and we were also blessed with all the donations that people gave at the end. It was a reflection of what can be done if you believe in what your doing. I hope this inspires all of you out there to continue to do this spiritual work and continue working in your community to bring positive vibes. Oh, and there is talk of having a gathering in Arizona on May 1st and also a gathering in Michoacan, Mexico in October. I will have more info as it comes to me.